Sugar-free, low carb chocolate mousse is rich and creamy. It also contains less than four net carbs per serving, so it is a good low-carb dessert option. And because it is a sugar-free dessert, it could also be ideal for diabetics or anyone looking to lower their sugar intake. Chill a medium-sized mixing bowl in the refrigerator. Meanwhile, place the cold water in a small bowl. Sprinkle with gelatin and let it stand for one minute. Add boiling water and stir the mixture until the gelatin is dissolved. Set that bowl aside. In the chilled bowl, combine Splenda, cocoa powder, salt, whipping cream, and vanilla until roughly mixed together. With an electric mixer on medium speed, beat mixture until it becomes stiff. Do not over-beat or you will end up with butter. Beat in the gelatin mixture until it is combined. Again, take care not to over-beat or you will lose the texture. 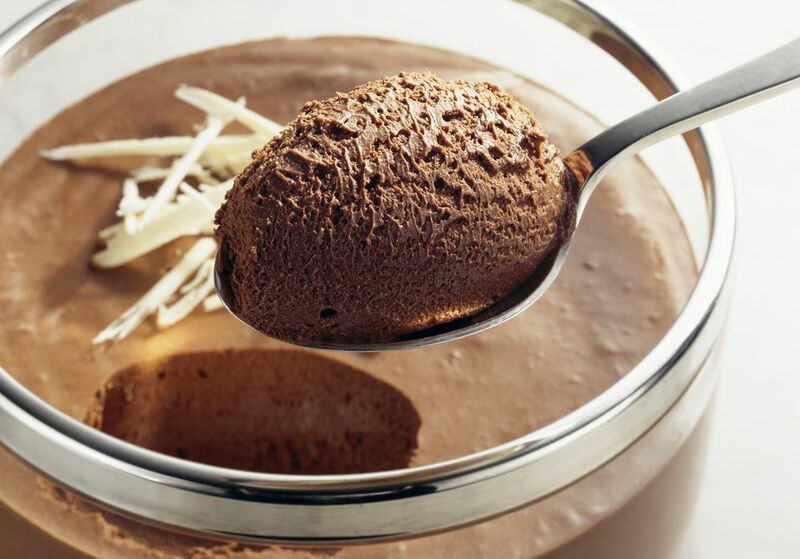 Spoon the mousse into a decorative dessert dishes or martini glasses and chill for 1 to 2 hours before serving. Top with whipped cream lightly sweetened with Splenda and a sprinkling of cocoa powder if desired. You can make this recipe a day in advance. If you're not serving it right after preparation, seal plastic wrap around the bowl or dishes and store in the refrigerator. Dress up the mousse by putting it in fancy individual cups or glasses, such as wine glasses or martini glasses. After the mousse sets in the refrigerator, you can top it with more whipped cream and cocoa powder, or serve it plain. The gelatin and heavy whipping cream in the mouse helps to stabilize the dessert, giving it a firm-yet-creamy texture. If you want to experiment with sweeteners other than Splenda, try Stevia. 15 No Bake Sugar Free Recipes using Chia! Low-Carb Cranberry Chocolate Almond Bark made with 3 ingredients!